“Heath is wealth’’. It is a true statement that goes well with people of all ages and genders. Still, when it comes to parents or old age people, we have to put extra efforts to keep them healthy and happy as well. In this growing age, they might get diagnosed with various diseases so for the same, quality health care services and that too on time is all they need. For the people of age 60 years and above, dealing with such diseases will be a hectic task. And in today’s world where the inflation rate in the healthcare industry is rising on a daily basis, it become almost difficult for a middle-class person to afford such high-quality treatment because of fewer funds. In such situations, a common man has only two options either to visit a government hospital or to borrow huge funds from friends and relatives that most people don’t want to do. To deal with such medical emergencies in life, to secure your parents so that they can easily fight against the diseases in this old age, all you have to do is insure them under a senior citizen medical insurance plan. It is basically designed to offer the needful medical coverage for parents above 60 years. In India, we have multiple plans that can easily help you to deal with such medical contingencies easily. It is up to you to search for the right insurance plan which can easily go well with your needs. Financially independent- well, usually in the most cases elder members considered as the liability on the earners of the family. It is not like children don’t take proper care of their parents but the growing medical cost takes tool on major part of the income that eventually turns the elder ones into a liability. If you care about your parents a lot and don’t want to turn them into liability then it is better to insure them under an effective mediclaim plan. There are several plans available in the market which is good enough to go well with the specific needs of your parents in their 60’s. Regular health checkups- If you think that your parents are healthy enough and will not suffer from a major critical illness then it is advisable to have regular health checkups for them. It is not specifically for your old age parents but for the entire family too. It is a fact that health checkup helps a lot in keeping an individual healthy, diseases free and keeps them aware about their health status. It also inspires them to improve their health. With an effective mediclaim policy, you get coverage against regular health checkup and other relevant coverages too at the network hospitals. Critical illness: There is no doubt in saying that with the growing age chances of getting diagnosed with critical illness grows more. Although such diseases are not related to the age, however, the chances of the same occur during the old age. Above all this, the expenses for the treatment of these situations can easily break the savings of any middle-class person. A mediclaim provides cover for these major critical illnesses too. In the case where the premium is paid for the policy owner, children or the spouse, then a maximum tax deduction of rupees 25,000 is allowed. You can claim for Rs 5000 as tax deductions for medical health checkups. Mediclaim premium paid for the parents, a maximum tax deduction of Rupees 25,000 is allowed under section 80D. Your Savings are not enough: It is true that everyone has a set of their savings that people want to spend during post-retirement days. But have you ever thought that growing medical bills can easily spoil your savings and create a hole in your pocket? If you wish to have a peaceful life and to enjoy your saving more, then having a mediclaim will be a good option. It is going to take care of your medical expenditure and allows you to live your life peacefuly. 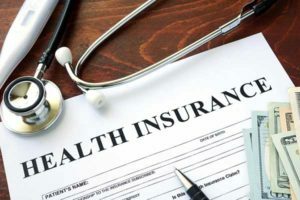 With the above-stated information, it is very clear that having a health plan for parents above 60 years is important and carries several benefits as well. To get the best one today just take help of an online insurance web aggregator which can easily assist you in finding the right one.